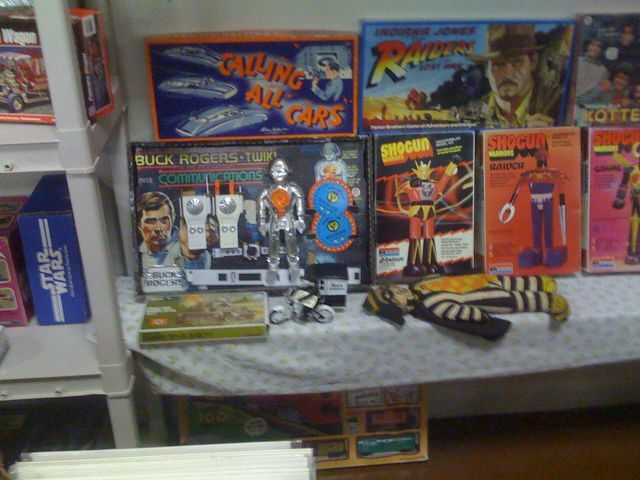 Last weekend I went to this twice annual toy show in San Jose. It used to be the Humdinger toy show I think. I missed out on buying a boxed 18″ alien for $250 while I went to get cash. I was hugely disappointed. But I saw some cool stuff. Here is a Buck Rogers toy I had never seen before that is kind of cool. Looking for Shoot out in Space from the 70s. Can anyone help?